Kite continues his adventures in The World to try to discover the cause behind the mysterious disturbances surrounding the game. 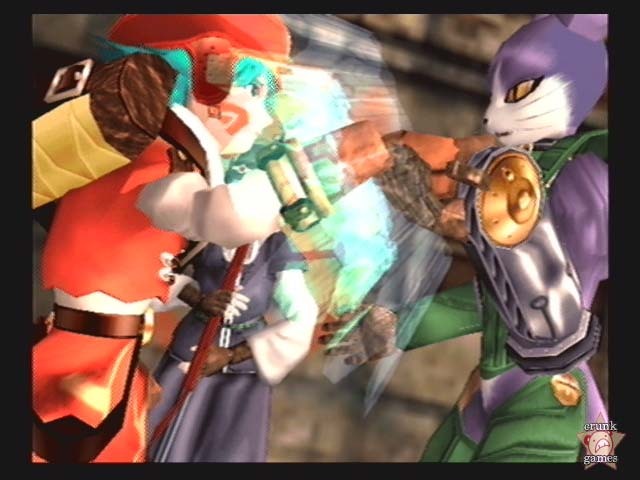 Since the premiere of the .hack series with Infection, Bandai’s strategy of cutting a single story into four chunks and selling each one separately at full price has garnered some harsh criticisms. Fortunately for us, the first game was excellent and showed tremendous promise for the series, potentially justifying it and its sequels to the hungry fan. But how does the second installment stack up? The good and bad news here should be no surprise: more of the same. Our story continues not five minutes after the ending of the first game, which won’t be spoiled here for those interested in going back and starting from the beginning to prep for Mutation, which is recommended — Not only is it nice to know what happened in the first game, but you’ll be able to start the second volume with far superior equipment and at a higher level than is normally possible without final save data from Infection. 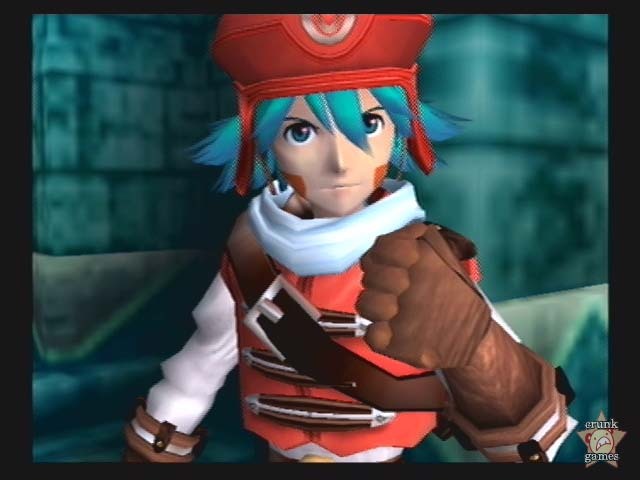 But if you’re reading this at all, you’ve probably already plowed through the first portion of Kite’s adventure and are wondering if it’s worth shelling out another $50 to continue on in CyberConnect’s world. It is. If you enjoyed the first game in any way, then volume 2 will not disappoint. It goes without saying that a game using the same engine as its predecessor will be a little redundant, but Mutation works around this by spicing things up with features like better camera angles and movement during cutscenes, interesting sidequests, a new server, and a new Grunty racing mode opened up by raising three Grunties in any root town. Sure, the game still boils down to you playing a kid playing The World, but the continuity of such a tightly connected series would be ruptured if the game took a sharp turn in the stylistic and structural departments. The storyline delves deeper into the mysteries surrounding the MMORPG of the future called The World and its tendency to slam users into comas for poking their noses where they don’t belong. Returning protagonist Kite will interact with key players in the CyberConnect world, as well as meet up with characters introduced in the first game. 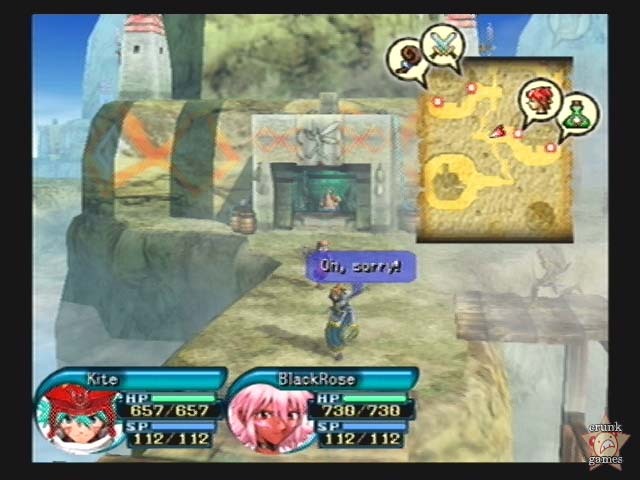 New playable characters can also be recruited, which is generally done at your leisure by venturing into the levels designated by message board posts as well as other means. 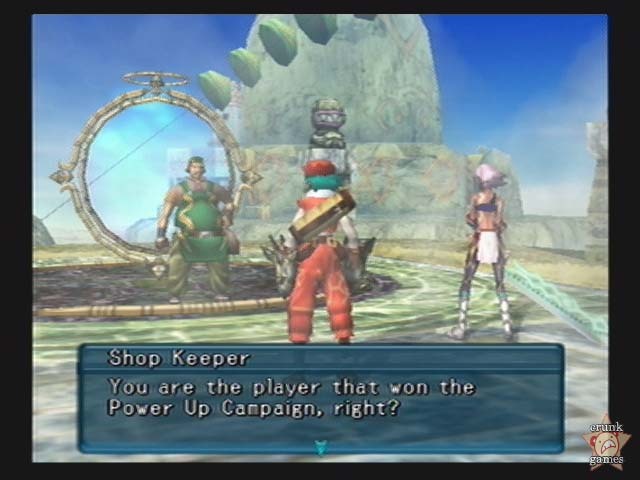 Your new crew members all join up at level 30, which is where Kite begins if you’re starting the series with Mutation. Additionally, players new to the series will find all of the emails and newsposts from the first game in Kite’s inbox when they start up the game, making it a bit easier to figure out just what went on. Communication with your cyber-pals is still done via pre-selected replies, most of which are rather amusing and take the player’s mind off the impending crisis for a moment. If you’re too timid to mock a girl’s chest size in real life, don’t hesitate to ask Black Rose’s player if she can swim so fast "because of such little resistance." 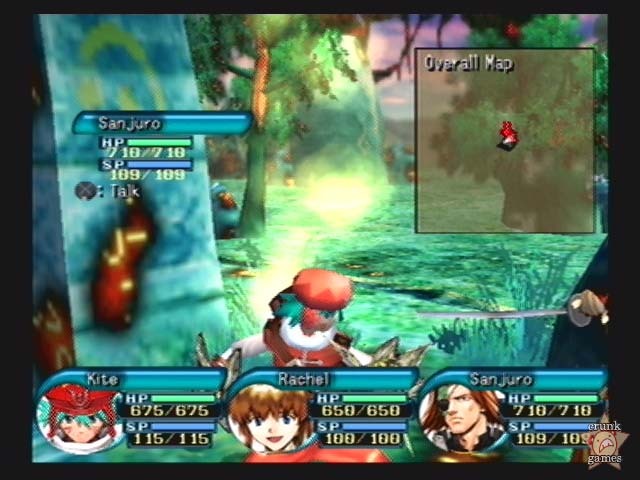 Battles are still realtime and require a good deal of concentration to coordinate the efforts of the entire party. The battle mode is initiated after approaching a yellow enemy portal and lasts until either one side falls or you beat a hasty retreat beyond the reaches of the monsters. Each character needs 1000 experience points to gain a level; experience is given based on level. The stronger you are, the less you earn from the lesser enemies and the more you’re forced into those tougher dungeons to start earning some real points. .hack//Liminality Volume 2, entitled “In the Case of Yuki Aihara,” picks up right where the first episode of this bonus series left off. Mai Minase and stubbly ex-CC employee Junichiro Tokuoka are still searching for some cause behind the recent disturbances, but the bulk of the story is led by the titular schoolgirl as she finds herself in a vacated department store that has fallen prey to a recent string of computorial defiance. Better than the previous disc’s ep.